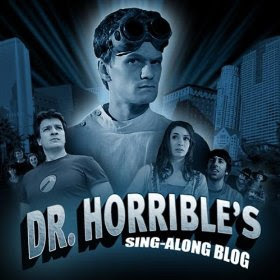 LonADay: Dr. Horrible's Singalong Blog: The Soundtrack - Now on Amazon! Dr. Horrible's Singalong Blog: The Soundtrack - Now on Amazon! If you use the Amazon MP3 Downloader, you can now get the soundtrack to Dr. Horrible's Singalong Blog in MP3 format. The iTunes version is in "iTunes Plus" which is an unprotected AAC file. The versions from Amazon are MP3. Most devices will play either, but if you don't use iTunes, this would be the way to go. I believe the only way to get a download of the video is still iTunes, although you can still watch it online at Hulu.